1. 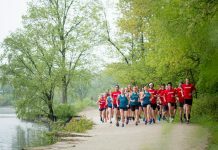 How did your running career begin? I started running after I lost a lot of weight and needed a new goal. My friend, Deb, suggested that I go out on a run with her. My first race was as a part of a relay team for the 2009 Pittsburgh Marathon. The community and camaraderie were what got me hooked. 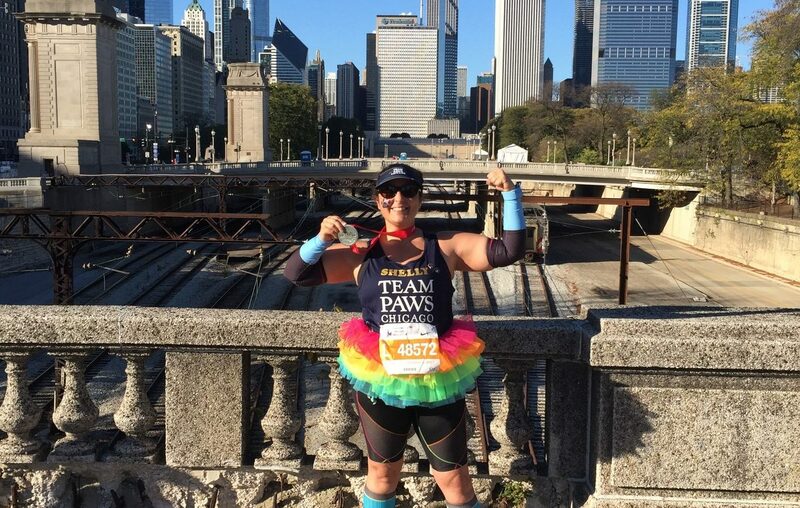 Moving to Chicago rekindled by running after a few years off and joining Team PAWS Chicago solidified my running family. 2. Tell us about your journey qualifying for Boston. Well, I did not qualify for Boston since I am a slower runner. I applied to run the race for charity. I was accepted by 261 Fearless and have a goal to raise $8,000 to support global running programs for women. 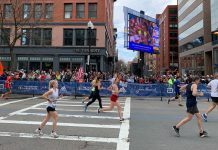 The charity was started by Kathrine Switzer who was the first woman to officially complete the Boston marathon, quite famously, with bib #261. I am chasing the Abbott World Marathon Majors 6-star medal and am running Tokyo and Boston this spring for stars 4&5. I will just have London left! 3. What does your training plan look like? My training started in October, just a month after completing the Berlin marathon. I am running three to four days a week and am a bit ahead of the Boston schedule because of training for the Tokyo Marathon on March 3. I have the traditional long runs on weekends and speed work midweek. 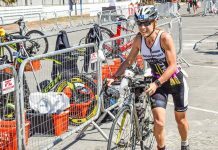 My coach, Denise Sauriol, and I are in touch a lot because I am on the road for 2 months and trying to get the training in while in a new city every day. Well, my goal for Tokyo is to finish under 6 hours. For Boston, I just want to take it all in and relish the experience of running on such a historic course. I want to make a difference by raising money for such a great charity.